Following our client’s concern of an uneven floor surface in their home, Kenwood Plc were called to investigate the sub floor. Our surveyor found dry rot to be affecting various timbers within the sub floor. 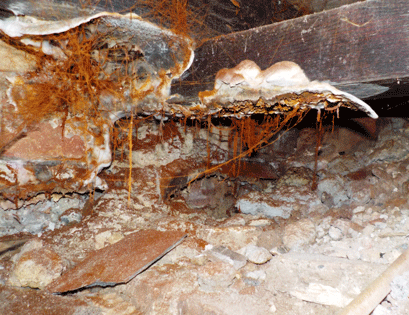 Dry rot occurs when timber is in contact with damp masonry. This treatment required the removal of affected timbers for disposal. The surround walls were irrigated; this is done by drilling into the brickwork and injecting a fungicidal fluid until fully impregnated. The timbers surrounding the affected area are also sprayed to prevent any remaining spores from germinating causing further outbreaks. The removed timbers have been replaced using pre-treated timbers; these are isolated from the masonry to ensure no moisture ingress. 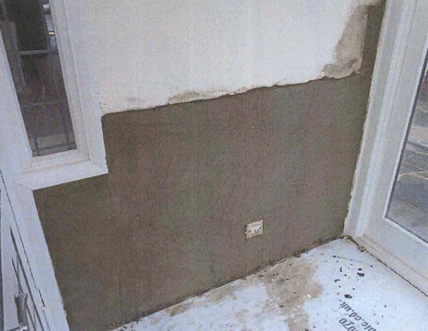 With our works now complete our client can continue the refurbishments to their home.